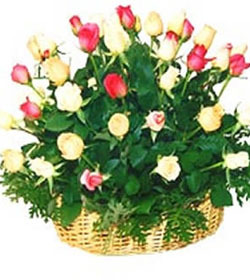 Description: 24 mix roses stems of garden spray roses arranged in basket surrounded with leather lives. The stems are short to make the flowers last longer. It is an expression of friendliness and love.